Helping your client refresh their memory regarding facts pertinent to the case is just the beginning of your job in preparing your client to testify at their deposition. You also need prepare your client for problem areas of questioning. Compound questions are questions, which incorporate two questions in one. They are very deceptive and dangerous because a yes or no answer can be interpreted as an affirmative response to the underlying predicate. For example, “Do you beat your wife only on Tuesdays and Thursdays?” is actually two questions in one. The first question is, “Do you beat your wife?” and if yes, is it only on Tuesdays and Thursdays? Another classic approach to the compound question is to summarize a client’s prior testimony, and then ask at the tail end a yes or no question. Clients often focus only on the yes or no question, and forget that by answering the question without objection or clarification they are affirming the entire scenario outlined in the question. While you, as an attorney, should object to such questions, it is important to educate the client on these problems as well, in case you fall asleep at the switch. Questions cast in absolute terms can also be a problem. Whenever an attorney uses such terms as, “Do you always” or, “Have you never,” they are attempting to lock your client in absolute terms. There is nothing wrong with being absolutely sure, you just want to make sure that that is, in fact, the case. If there are exceptions, then the client needs to avoid answering such questions in the affirmative. On the other hand, defense attorneys will use such absolute terms as a means of unnerving a client and backing them off of their testimony. The point is, make sure if you answer in absolute terms, that you’re absolutely correct. The flip side of this is to water down answers with qualifiers such as, “I think,” “I believe,” or, “In my opinion,” when you actually know the facts. Make sure your client avoids using such terminology. It is better to indicate that you don’t know or recall than to guess or speculate. Once again, the primary rule is to answer truthfully and accurately. Do not exaggerate: Don’t take a good case, try to make it a great case, and turn it into a bad case. The first rule I learned when I began doing defense work from the senior partner at the firm I was at was to let a Plaintiff exaggerate all they want. There is nothing that more quickly undermines a claim or gives rise to the all-popular defense mantra of “secondary gain” than needless exaggeration. This is why reviewing a client’s medical records with the client in advance is imperative. Usually when an attorney begins a question with, “would it be fair,” it is absolutely unfair to your client. Anytime a client hears a question prefaced with such a line, they should make sure they in fact agree with the proposition set forth in the question. Defense attorneys will often ask, “Tell me everything that’s still a problem.” The difficulty with this question is that a client can forget important details of their injuries or losses when asked to simply list everything under the sun without any other prompting. While you can object to the form of the question on the grounds that it calls for a narrative, your client ultimately will probably have to answer it. It is important to review in advance all areas of losses and damages with the client to ensure that that do not forget anything. Your client should be prepared to answer at the end of their list that that’s all they can recall at the moment. This allows you to clean the topic up on cross, or later through the signature process where your client is allowed to review their deposition before it is sealed. This is a question that I have used with Plaintiffs, and oftentimes catches them totally off guard. Ultimately, I think the best response is to say that I’m not an expert in evaluating these sort of things, and am trusting my attorney’s best judgment, as well as that of the jury. To actually provide a dollar amount can make your client appear greedy, and be used to prove motive for secondary gain. Another classic question to unnerve a witness or a client that attorneys will often use is, “Have you talked too anybody about this case?” Sometimes, a client will think that they’ve done something wrong by discussing their testimony in advance. The client should be put at ease that there is nothing wrong with preparing for their deposition or meeting with you in advance. In fact, most jurors expect attorneys to meet with their clients, as well as witnesses, in order to properly prepare for trial. Obviously, your client has talked to you, and such information is privileged. 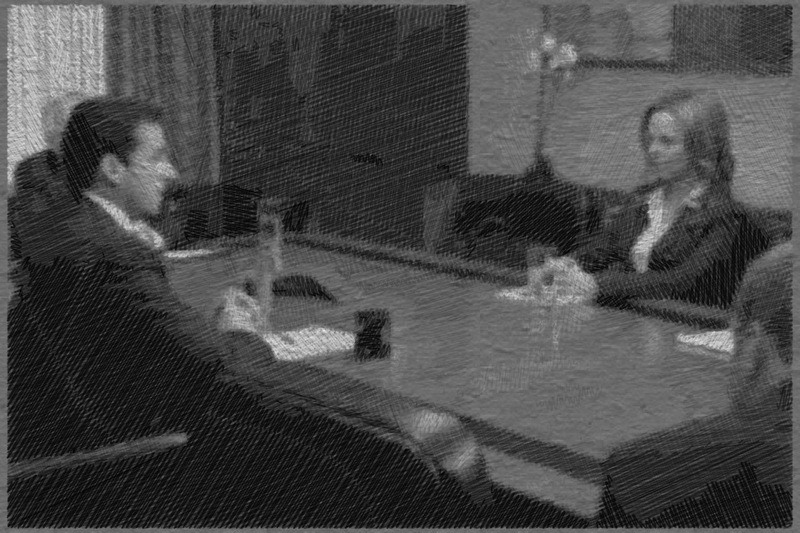 If the question is posed by opposing counsel and you fall asleep at the switch, you want to make sure that your client seeks a clarification as to whether the attorney is, “Asking for information discussed with counsel.” If your client has discussed the case with other persons, you want to identify this well in advance of the deposition, so that you don’t have to deal with needless prior inconsistent statements.